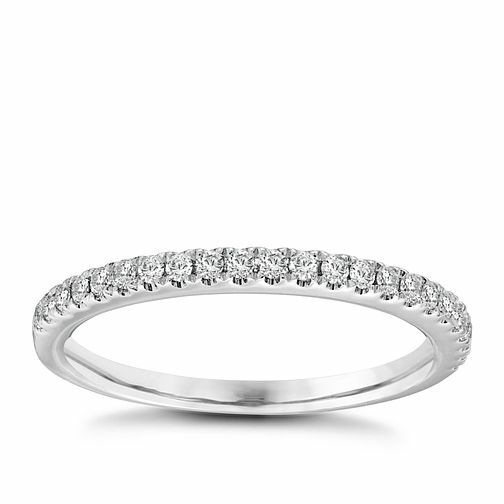 This beautiful vintage inspired wedding band features extravagant 18ct white gold set with 0.23ct of sparkling diamonds. Vera Wang 18ct White Gold 0.23ct Diamond Wedding Band is rated 4.0 out of 5 by 4. Rated 5 out of 5 by Anonymous from Love love love it!! So happy with this ring, I bought this to go with my engagement ring and they look stunning together. Can’t stop looking at it and how much it sparkles! !